I needed a stool for my bedroom, but I didn’t have much room. So I decided to make one myself using an old wine rack that was the perfect size. 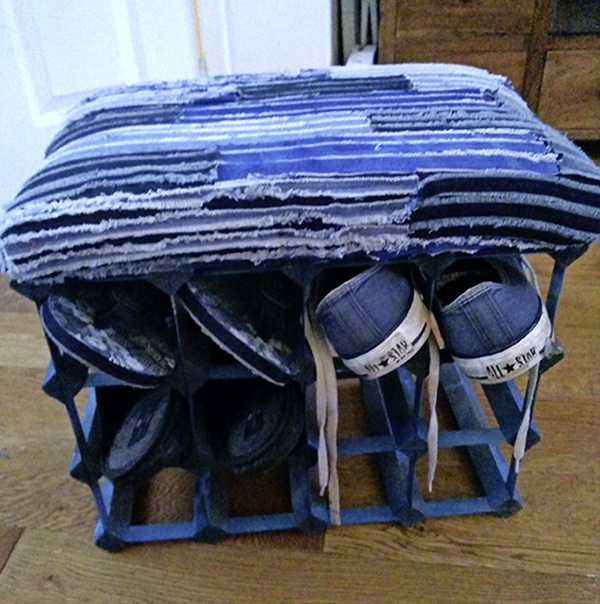 I painted it blue then created a padded seat by stuffing foam into some old jeans. I attached this to the rack to create a neat and unique stool, which can also be used as a shoe-tidy. It’s doubly handy and didn’t cost a thing!